I love the look of the pink blazer with the white dress. So pretty! 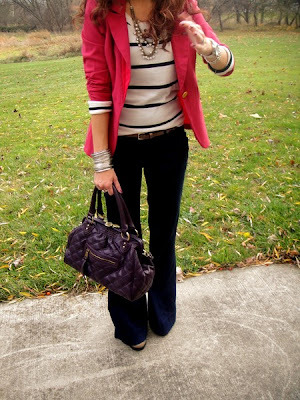 We are obsessed with hot pink blazer for boys!